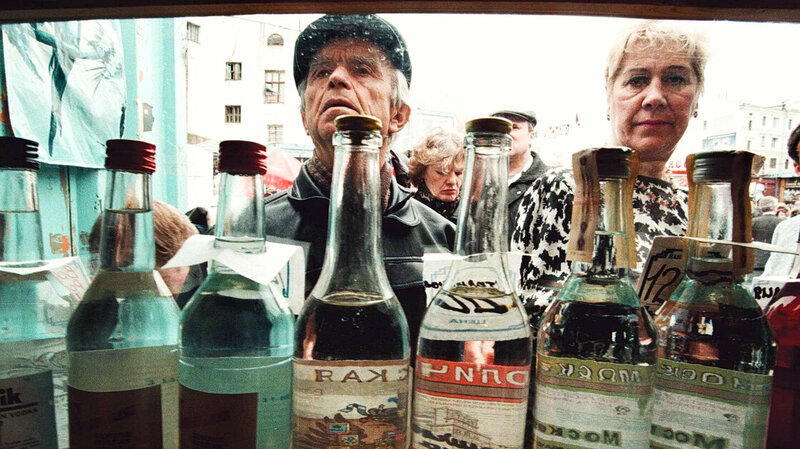 Shoppers check out vodka in a street kiosk in Moscow in 2008. Vodka is our enemy, the Russian proverb goes, so we'll utterly consume it. This embrace of the enemy has a lot to do with the country's abysmal life expectancy rates, with one quarter of Russian men dying before age 55. But when the drinkers start cutting back, death rates drop almost immediately, a study finds. "High mortality absolutely is caused by hazardous alcohol consumption," says Dr. David Zaridze of the Russian Cancer Research Center of Moscow, who with his colleagues tracked Russian drinking habits for a decade. Indeed, the most striking thing about this , which was published Thursday in The Lancet, is how closely changes in the country's mortality rates followed changes in Russian government policies on alcohol.